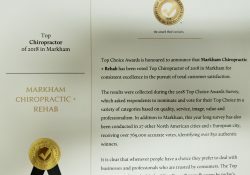 Top Choice Award: Top Chiropractor in Markham! We have been voted as the TOP CHIROPRACTOR IN MARKHAM! Thank you to all who voted. We look forward to continue serving Markham for many more years! 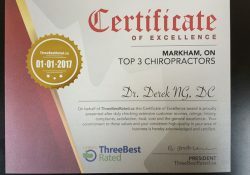 Top 3 Chiropractors in Markham! 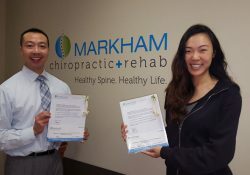 To all our wonderful patients at Markham Chiropractic + Rehab – thank you for your continued support! 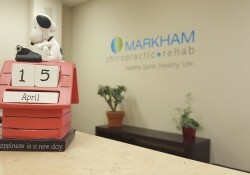 Today marks the 2nd anniversary since Markham Chiropractic + Rehab first opened! It has been an absolute pleasure to serve the wonderful residents of Markham, Richmond Hill, Stouffville, Scarborough, to Brampton, Toronto and even from Dubai and Holland! Thank you to all our or amazing patients for your continued support. We cannot even begin to express my gratitude for all of your referrals over the past 2 years. We can still remember the first day like it was just yesterday. Time sure flies when you’re having fun!